After the madness of parties and such, it soon becomes time to start thinking of packing all the decorations away for another year. 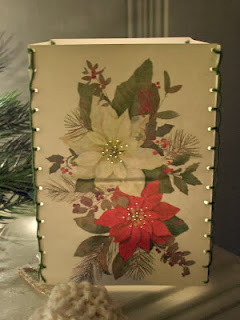 It used to be that everyone would get tons of Christmas Cards each year. I noticed that I don't get as many now as I used to! Now you might be tempted to do the right thing and hand them in to Planet Ark or such. But there is a better way: recycle and up-cycle and create new from old. Even if you don't get many cards anymore, wrapping papers, tags and cards are always available for half price or even less after Christmas. Later in January you will find that calendars are cheap too. 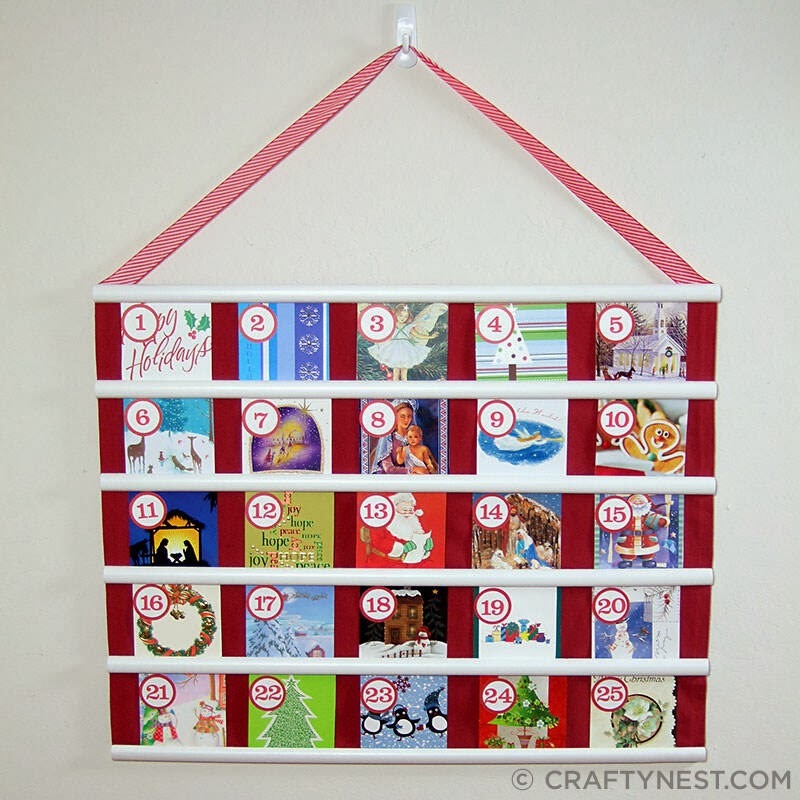 So you've no excuse to make some post Christmas crafts ready for the next Christmas if you want to be super organized or at the very least you can buy them now and save them for simple crafts that you can do later especially with your children and grand-children in the lead up to next Christmas. Paper chains are especially great with the little ones. 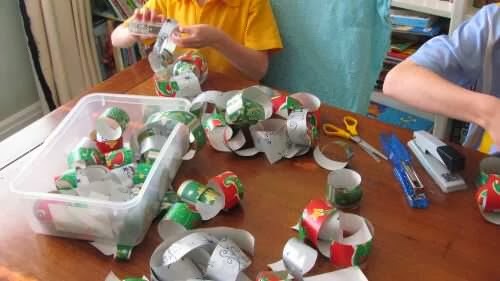 Sticky tape, staple or glue small strips to make circles and link them together to form a chain. 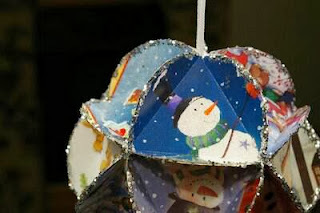 Surely you remember the fun you had making these yourself when you were much younger! Follow this easy tutorial to make gift boxes like the one above from the cards. 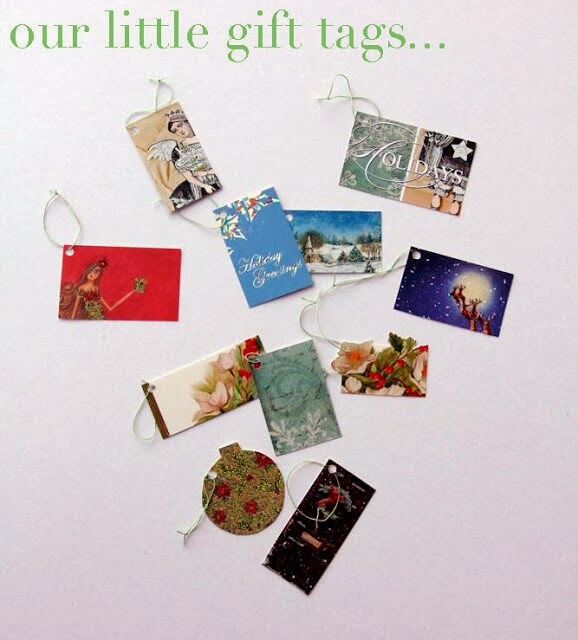 Cut down cards into Gift tags. There are some fabulous ways to get multiple images from one card sometimes. 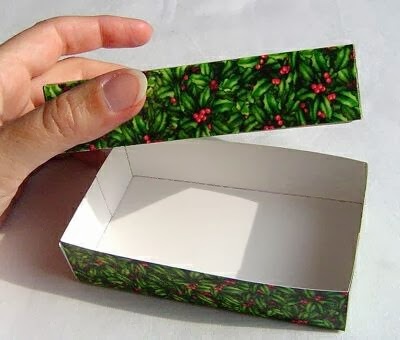 Basically you cut a gift tag shape out of the front of cards. If there is writing on the back then glue this tag onto a plain white card as a layer. You might even be able to judicially use the back of the same card if you are lucky. Similar to the above tags, but the images and glue them onto gift bags or even just plain paper bags for gifting. If you like making your own jams, pickles etc as gifts then what about decorating the jars with circles cut from cards to fit and cover the jar tops. If you are like me, you will have no idea how to pronounce the mathematical name of this 3D ball made from cards. 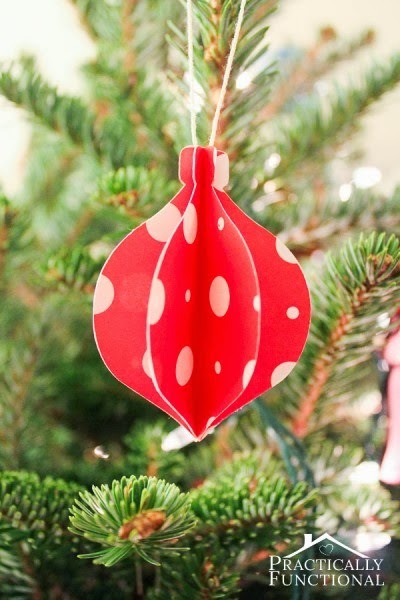 I like to keep it simple and just call it a Christmas Card Ball. The name is horrendous but to make it is really easy. You just need to cut 2 circles and trace a triangle inside it, fold on the triangle lines and glue. You might need older kids for this though. You could be boring and make it into a maths lesson at the same time! 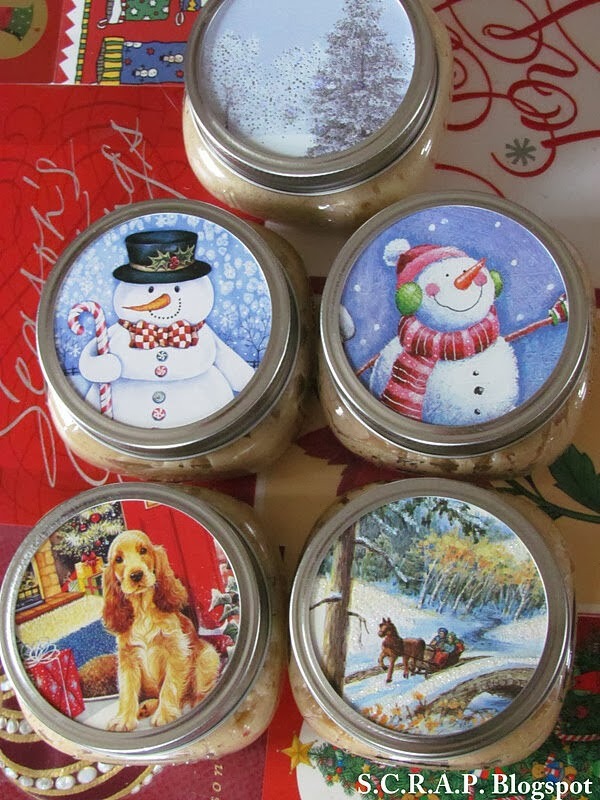 If you want to make something different then try this nifty Advent Calendar or these marvellous Luminaries. Both are beautiful and simple. Another unique idea is to cut multiples of the same shape, fold each in half and glue back to back as Folded Hanging Ornaments like the one below. You can make all sorts of shapes as long as they are symmetrical. 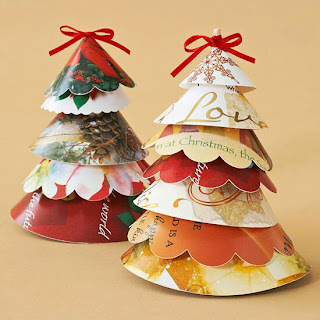 Make Christmas Card trees by cutting various size circles. The link takes you through the easy steps to make a couple of versions. There are so many ways you can recycle or cheat and use newly purchased cheap cards and papers to add that hand made touch to your next Christmas. 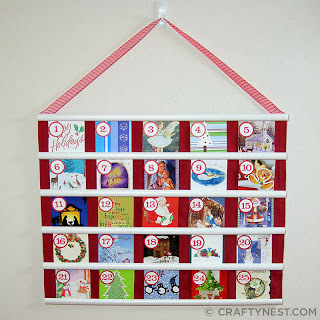 I'd love to add to my list if you have any handy ideas for recycling cards. Just pop the suggestion or even better the link to it in the comments below. I will eagerly look up each and every suggestions brought to my attention.